On March 12, IFC Films released a new trailer for the film Charlie Says. 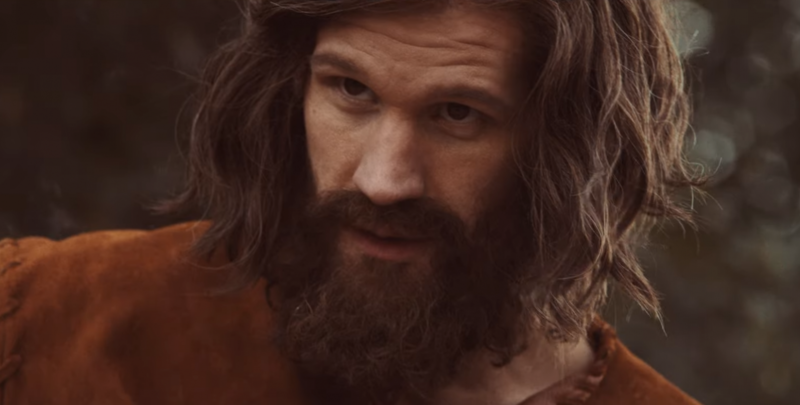 The trailer gives us a look at Matt Smith as the infamous Charles Manson. Smith (Doctor Who, The Crown) looks almost unrecognizable with his long hair and beard. And if the trailer is any indication, he’ll give movie goers the heebie-jeebies with his performance. While Matt Smith is the film’s biggest name, his Charles Manson won’t be the focus of the film. It’ll focus on Hannah Murray, Sosie Bacon, and Marianne Rendon as three former members of the Manson Family, who carried out murders under the infamous cult leader’s orders. Leslie Van Houten (Murray), Patricia Krenwinkle (Bacon) and Susan Atkins (Rendon) are former members of the Manson Family. They’re serving prison sentences for their participation in the Tate-LaBianca Murders of the late 1960’s. They meet Karlene Faith (Merrit Weaver), a graduate student who helps them come to terms with the crimes they committed. Even after all these years, the women still believe they committed these crimes in the name of some higher power. The film is based on the books Thee Long Prison Journey of Leslie Van Houten by Karlene Faith and The Family: The Story of Charles Manson’s Dune Buggy Attack Battalion by Ed Sanders. Mary Harmon (American Psycho, The Notorious Bettie Page) directs the film from a script by Guinevere Turner, who also worked with Harmon on American Psycho and TNBP. Chace Crawford, Suki Waterhouse, Kayli Carter, Annabeth Gish, and India Ennenga round out the rest of the cast. The film will be released May 10.